I’m not sure how typical or unusual this is, but I found out last summer the hypoglycemic symptoms I’d been having, and also the electrical jolts in my extremities, the hair falling out, numbness in my face, the dimming vision and tinnitus — I found out this wasn’t early stages of MS, as I had feared, or any other major medical situation. Instead, I was referred to a great chiropractor, he adjusted me for the first time in my life, and this treatment alleviated all these seemingly disparate symptoms. 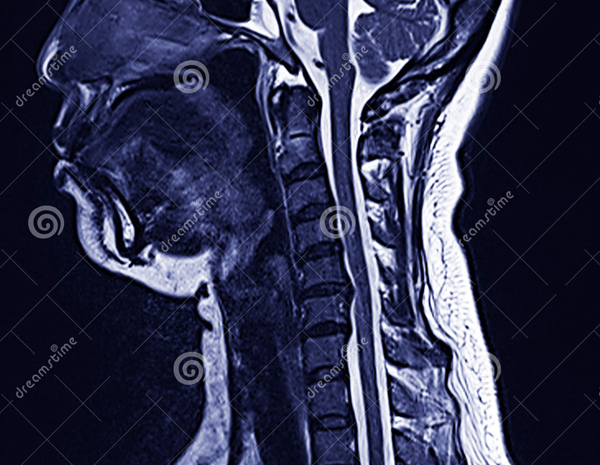 His explanation was pretty simple: the neck can slip out of alignment from bad posture in front of a computer, this compresses key nerves that send impulses to every organ of the body. An adjustment will “reboot” the nervous system, and reestablish these important connections. Realignment of “subluxations” can also improve blood flow to the scalp and brain. It took a few sessions for the benefit to stay consistent, and for the last few months I’ve been feeling pretty good. Don’t ask me why I didn’t just go back to the chiropractor when things went haywire a week ago. Today I did, and I’m feeling much better. Not 100% yet, but much improved. The question remains, why did the helminthic therapy effects seem to disappear, and once my neck and spine are behaving again will I suddenly feel that “worm high” coming back? Time will tell. Today I was noticing their characteristic GI disturbance again, this after many days of a normal gut, so I know my “old friends” are still with me. For now I’m just trying to focus on the big three: adequate sleep, a good diet, and consistent exercise. My helminth express seems to be off the rails for a moment. Allergies are returning, anxiety is back, so are restricted airways, both in my chest and head. My neti pot offers scant relief for this strange congestion, as there appears to be no mucous, only inflamed tissues. You don’t realize how horrid asthma is until it’s been bannished for 60 days, and then suddenly returns. Since it’s no fun to go from feeling good and carefree to fairly awful, I’ve spent the last few days trying to figure this out. Why did I suddenly start having blood sugar issues again? Was it that one fateful night I had a tiny sip of scotch (no irony, it was only half a shot) with friends, and stayed up way too late? Were my adrenals already hanging by a thread, and that slight nudge was enough to upset the whole apple cart? Or did this frustrating turn of events happen when my jaw slipped out of joint? Seriously! TMJ, or temporomandibular joint disorder has cropped up occasionally in the past. It’s annoying because it’s impossible to chew anything without pain, and then there’s the fear of further dislocating the joint. It was about a week ago when my overall health began to backslide, and the TMJ happened first. Is there a connection? Quite possibly, and it’s a strange one. Apparently, trauma to the nerve near this joint can stimulate the release of “substance P“, which doesn’t get recycled in the body, and has endocryne-like properties. There seems to be no limit to the odd sensations and behaviors provoked by “substance P”, according to one article i read, including itchy skin and an urge to swear. $%@#!! No wonder. What resonates for me in the reading I did tonight are symptoms of tinnitus, and autoimmune issues — specifically, lots of pain and histamines, with acute inflammation. And let’s not forget anxiety and insomnia… or asthma, for that matter.